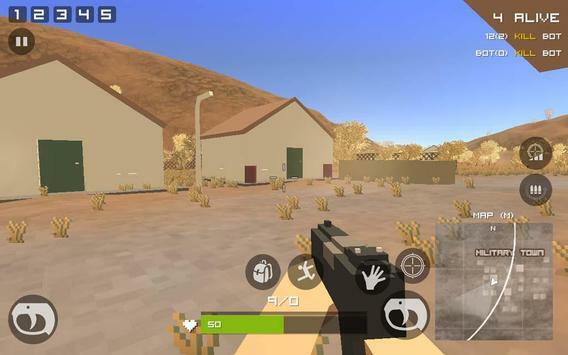 Grand Pixel Royale Battlegrounds Mobile Battle 3D is survival shooter game for mobiles and tablets. Welcome to the brand new pixel arena. The deathmatch has now been raised to a thrilling epic scale. 10 players parachute into a remote 2x2 km island for a winnertakesall showdown. Jump out of the survival plane on the dead island, find the best loot, kill the enemies. Players are spread around the island unarmed and must find and use various weapons and items to eliminate opponents. 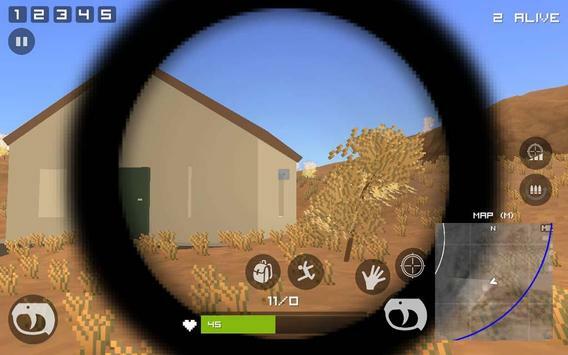 Players have to locate their own weapons, vehicles and supplies and defeat every player. Are you ready for it? A wealth of weapons, attachments and vehicles to be discovered. Beware, your safe zone is shrinking! 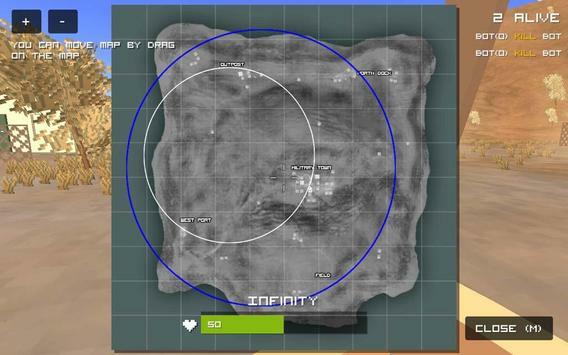 Safe zone is blue. So collect scattered weapons, arm yourself to the teeth, and wield your tactics like no one else. Search for weapons, stay in the play zone, loot your enemies and become the last man standing. Within 10 minutes, a new survivor will emerge. Will it be you? Shoot with A, machine gun, smg and other weapons. Survive the battlegrounds, improve your shooting skills. Grab any gun and dive into battle. If you like battle royale games and blocky military pixel games then you will definitely like Grand Pixel Royale Battlegrounds. Please review Grand Pixel Royale Battlegrounds Mobile Battle 3D Game and submit your comments below. We will collect all comments in an effort to determine whether the Grand Pixel Royale Battlegrounds Mobile Battle 3D app is reliable, perform as expected and deliver the promised features and functionalities.